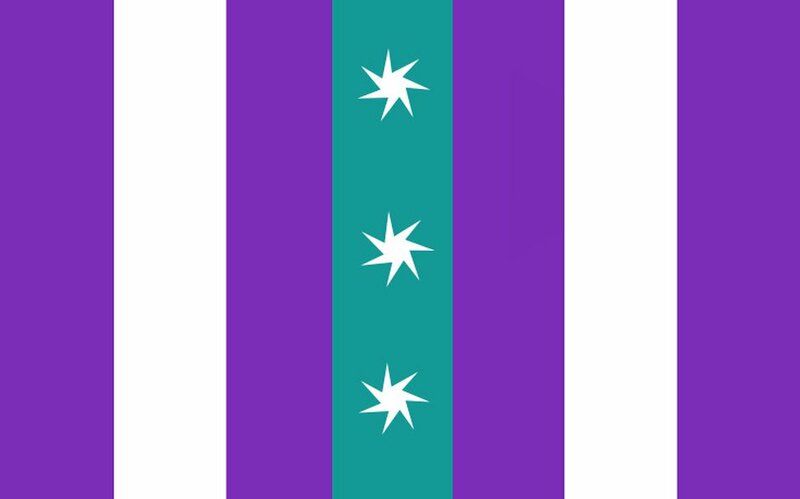 Salt Lake City flag designs. 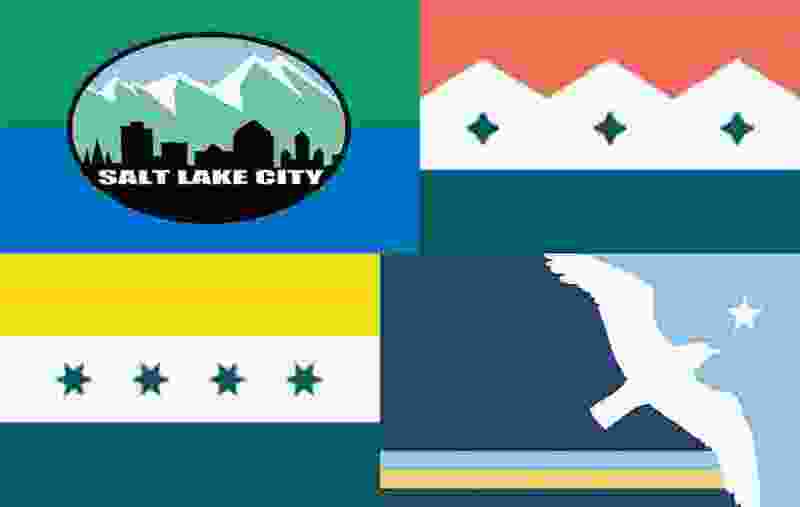 Adopted in 2006 by the Salt Lake City Council, the flag features a central logo of a black city skyline in front of green, snow-topped mountains and a blue sky, with the words “Salt Lake City” printed in white. Two wide bars of a darker green and blue split the background in half horizontally. In some cities, like Chicago or Washington, D.C., the flag is a source of civic pride, hung from homes and business and emblazoned on clothing and merchandise. But Salt Lake City’s flag is largely unknown to the general public, and some designers and flag experts say the time is ripe for a redo. On this week’s episode of “Trib Talk,” former Tribune reporter Taylor W. Anderson and Utah graphic designer Jorrien Peterson join Benjamin Wood to discuss the importance and power of a well-designed city flag and what can be done to improve Salt Lake City’s municipal imagery. And as a special addition to this week’s episode, “Trib Talk” is hosting a flag-design contest for its listeners. Email your idea for a better Salt Lake City flag to tribtalk@sltrib.com with “flag contest” in the subject line by Friday, September 14. Finalists will be selected by the “Trib Talk” team and voted on by our followers and friends on twitter. The creator of the winning design will receive a Salt Lake Tribune coffee mug, will be featured as the background image of the @TribTalk twitter account during the month of October and, who knows, may one day see their flag on top of City Hall. Tribune reporter Benjamin Wood's attempt at designing a new Salt Lake City flag. For more information on this topic, the “Trib Talk” team recommends the excellent 2015 TED talk on flag design by Roman Mars, host of the “99% Invisible” podcast. “Trib Talk” is produced by Sara Weber with additional editing by Dan Harrie. Comments and feedback can be sent to tribtalk@sltrib.com, or to @bjaminwood or @tribtalk on Twitter.